For all the fans of the Harrisburg Railers series, a sport MM romance series where the reader gets to know each player of this great Hockey team and follow their falling in love. This Christmas novella is not a standalone “per se” : it’s better to have previously read at least books #1, 4 and 6 of that series as well as Ryker, the first instalment of a spin-off series, to fully enjoy this addition. And let me say that I once again fondly appreciated this story! First, because I got again a focus on Ten and Jared, the first couple introduced in this series, one of my favorite. Then, I got to discover how they deal after the stunning twist RJ Scott and VL Locey pulled out in “Goal Line” (book#6) : with strength and determination but also fear and vulnerabilities, cementing their love in the process. Age-gap, not a lot of steam (under the circumstances, it’s not surprising) but still a lot of chemistry between these 2, a light dose of Hockey times, a touch of friendship among and from the team, especially Stan being…well, “Stan” to my delight, and of family gatherings. RJ Scott and VL Locey are a great team : their writing flows with a nice dynamics and they draw endearing characters. I warmed up quite fast for this series and am now totally on board, so it’s no surprise when I say I will be there to get more in a few months with Stan being the front star. 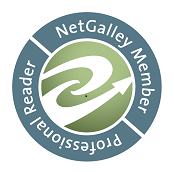 ARC of Neutral Zone was generously provided by the publisher in exchange for an honest review.